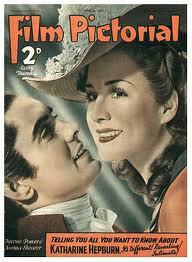 Irving Thalberg, who died before his production of 'Marie Antoinette' was complete. Thalberg with his wife, Moira Shearer, star of 'Marie Antoinette'. W.S. 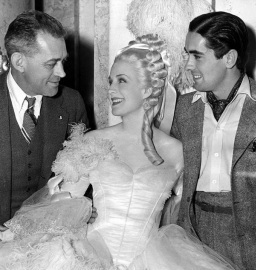 van Dyke, left, the director, on the set of 'Marie Antoinette', with Norma Shearer and Tyronne Power. Norma Shearer - studio publicity photo. 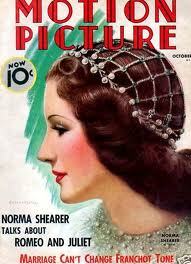 Norma Shearer was born in Montreal in 1902. Her mother took Norma, her sister (who later married Howard Hawks) and brother to New York, then the centre of the young movie industry.In her teens the ambitious would-be actress was rejected by D.W. Griffith who said the cast in her eye and her poor teeth meant she would never become a star. Opthalmic and dental work and determination overcame these problems, and she started to get parts in silent B movies. By the mid-1920s she was one of MGM studio's top attractions. Her career had started off with her cast in demure, 'good girl' roles. Then she successfully played independent, sexually liberated women - "the first American actress to make it chic and acceptable not to be a virgin onscreen'. Her private life reinforced her screen image; Shearer had an especial fondness for affairs with her co-stars, and showed an astute ability to manage her career to super-stardom. She was one of those stars whose voice and screen presence enabled her to make the awkward transition from silent movies to the talkies era. Perhaps her brother, who was Recording Director at MGM, may helped. After 1927, when she married Irving Thalberg, a key figure in making MGM the greatest of all Hollywood studios in the late 1920s and the 1930s, she was cast in prestige dramas, often with historical backgrounds and made with the oversight of Thalberg's remarkable genius as a producer. She appeared in such box-office hits as The Barretts of Wimpole Street. 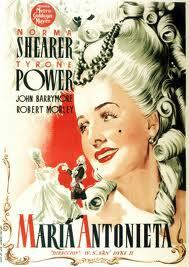 Thalberg had started production work on Marie Antoinette when he died in 1936. Shearer went into seclusion for eighteen months, but eventually made six more films for MGM. The best of these was 1939's all-female star comedy The Women. Unusual fact: Shearer and her brother are the only brother and sister to have won academy awards. 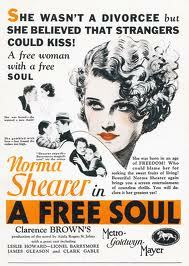 Shearer's first starring roles for MGM projected a daring 'modern' image of a 'free' and independent woman. Her later roles for Thalberg tended to be more dignified and restrained. By the mid-1930s Shearer was a major star, frequently on the cover of movie magazines. Last photograph of Thalberg with Shearer. The name of Irving Thalberg, 1899-1936, is synonymous with Hollywood's golden age in the 1930s and 1940s.Not only was he a crucial figure in the history of Hollywood cinema. He possessed amazing abilities to gather and foster diverse cinematic talents ranging from directors,actors, writers, editors, production staff and other technical experts, and to channel their expertise into the making of a wide range of films that were not only box-office successes but also gathered critical acclaim. Thalberg, born of German-Jewish immigrant parents, had a heart defect as a child and was not expected to live past thirty. Highly intelligent, he was ill for much of his childhood. He put his enforced rest to good use but reading voraciously. Instead of going to university he got a job as personal secretary to Carl Laummle, founder of Universal Studios.Here he mastered the complex skills of supervising and invigorating movie making. His financial, administrative and intellectual acumen -and an instinct for understanding popular tastes - won him the nickname of 'Boy Wonder'. By age 21 he was Universal's head of production. At age 24 he left Universal, and teamed up with Louis B. Mayer, quickly becoming head of production at MGM. The combination of Mayer and Thalberg, although awkward, soon made MGM the pre-eminent studio of the 1930s. Thalberg handled movie production aspects, although he never allowed his name to be listed as producer on his films. He was a perfectionist, prepared to re-shoot films that were in trouble, regardless of the cost. His films gave MGM a reputation for unmatched technical quality, star power and directorial skills.Under his aegis MGM produced box-office and artistic successes such as Hunchback of Notre Dame, The Champ, Broadway Melody of 1939, Mutiny on the Bounty, Merry Widow. Thalberg realised the potential of the Marx Brothers: A Night at the Opera was the result. Thalberg married Norma Shearer in a glitzy Hollywood wedding in 1927. During the early 1930s his health declined,. but he resumed his heavy work schedule after a heart attack He died age 37 of another heart attack, while he was working on the initial stages of production of Marie Antoinette. Thalberg remains a legendary figure. His incredible talent and premature death, and his life in Hollywood's golden age has become intertwined with the life and literature of another key figure of that era: the author F. Scott Fitzgerald. 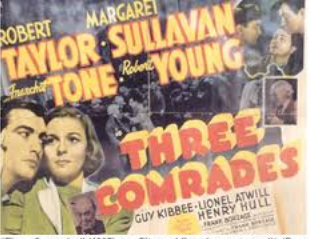 Thalberg, always impressed by literary genius, hired a down on his luck Fitzgerald to work on scripts, although the author only gained one screen credit - for Three Comrades. Fitzgerald based Monroe Stahr, the pivotal character of one of his final, and best, fictions, The Last Tycoon, on Thalberg. Thalberg rejected Fitzgerald's script for this film and had Anita Loos rewrite it. The only film for which Fitzgerald gained screen credit for the script. 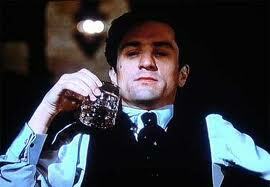 Robert de Niro as Monroe Stahr (aka Thalberg) in Elia Kazan and Harold Pinter's version of 'The Last Tycoon'. 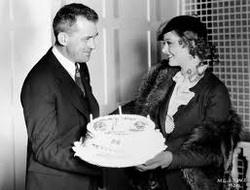 van Dyke being presented with a cake by Myrna Loy. Woodbridge van Dyke was known in Hollywood as 'One-shot Woody' for his insistence on shooting films as rapidly as possible. Producers loved his ruthless efficiency, reliability and ability to keep within the budget and the schedule. To his detractors, van Dyke was Hollywood at its worst, focusing on speed, minimising costs, uninterested in film as high art, churning out movies on a production-line format. Yet his admirers point out that van Dyke demonstrated an amazing versatility and technical proficiency.Several of his ninety or so movies have achieved classic status, including Marie Antoinette. Other 1930s gems include the fine disaster movie San Francisco (which puts its modern digitised counterparts to shame with its pacing and realism) and the comedy The Thin Man. Van Dyke was certainly not an auteur. He made ninety movies, moving from westerns to musicals to gangster movies and the first Tarzan movie.The director was arrogant and vociferous in his opinions, but was admired by actors, especially those who were not stars, and technical staff. 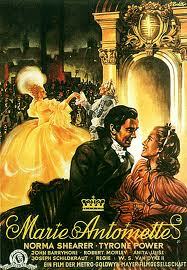 Why is the 1938 Marie Antoinette superior to the 2006 version?